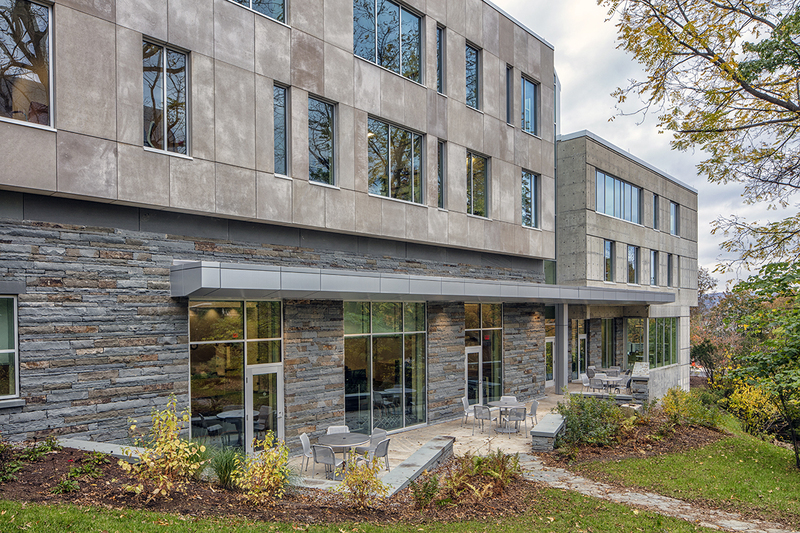 The 60,000 SF expansion of the University Health Services Building (UHS) will allow Cornell University to continue its pioneering work in preventative, diagnostic, and therapeutic services to an increased student population. The site is at the gateway to the historic core of the campus and is visually prominent from both College Avenue and Campus Road. 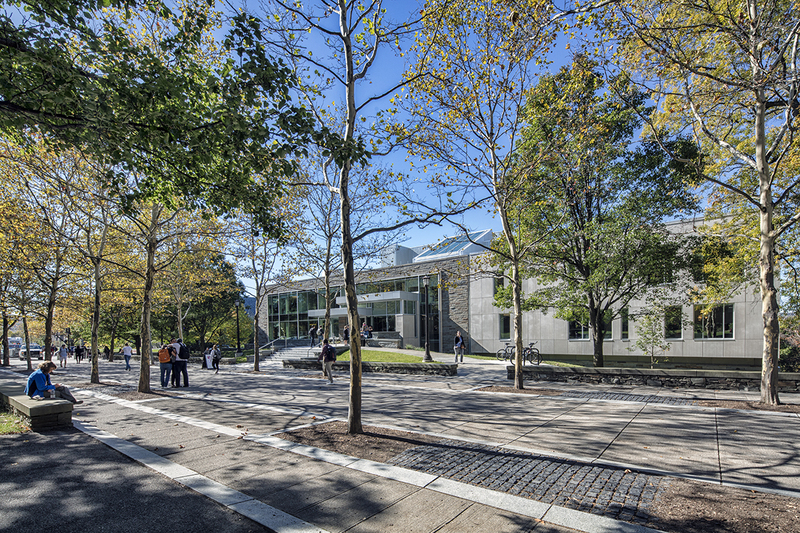 The central location with its front door on the pedestrian Ho Plaza promenade engages passing students. 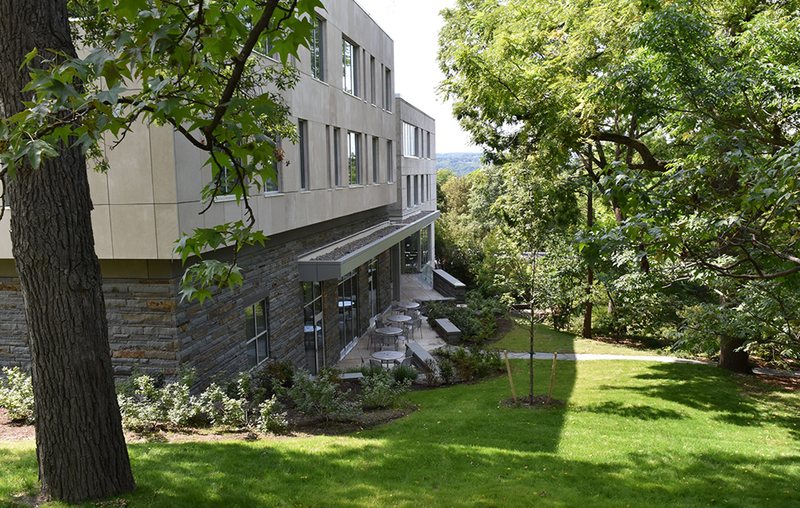 Directly adjacent to the site is Wee Stinky Glen, an important campus green corridor and a beautiful natural respite. 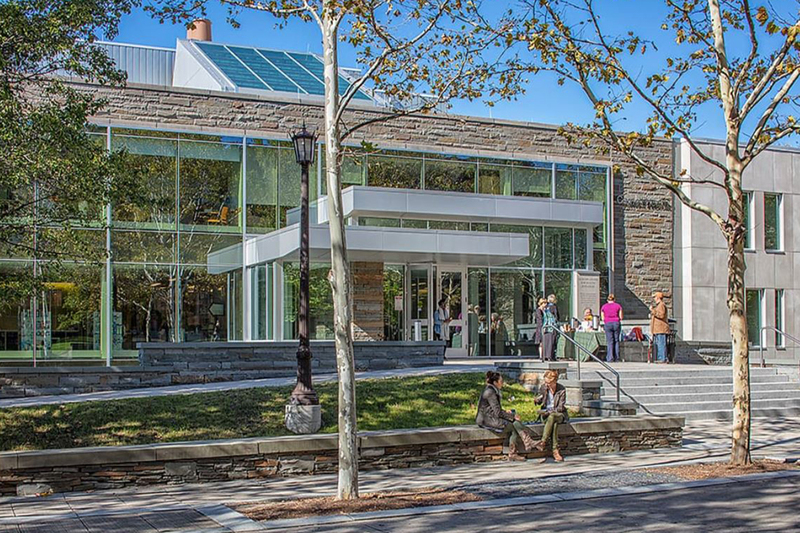 TWMLA was responsible for developing a site design that integrates UHS with its varied surroundings and unifying the site with the architectural expansion. Our technical strength and aesthetic vision for the site were managed from concept to execution by collaborating with the client, design team, and construction team. Minimizing impacts to Wee Stinky Glen and incorporating the visual language of existing site material were critical to the design. Site grading was carefully considered to ensure universal accessibility on a steep and challenging site. 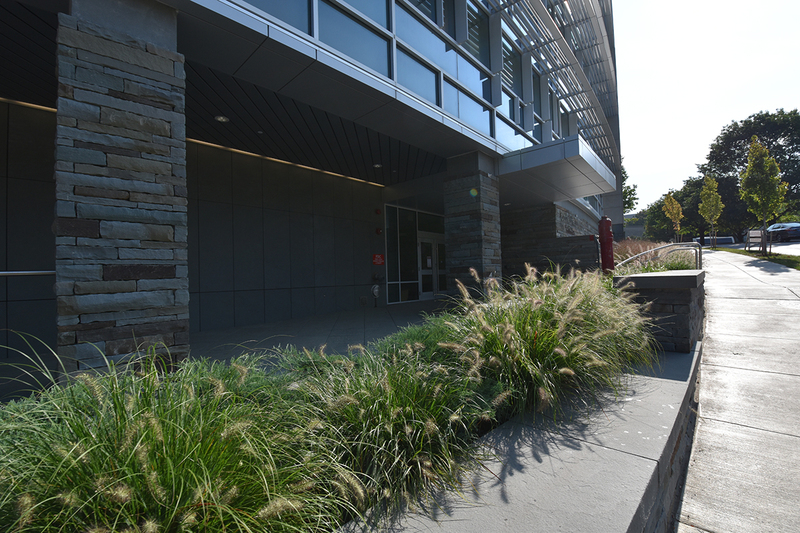 Pedestrian spaces were developed adjacent to Wee Stinky Glen and Ho Plaza to provide new opportunities for respite and reflection. Planting strategies were employed to creatively weave the project into the established Wee Stinky Glen landscape. 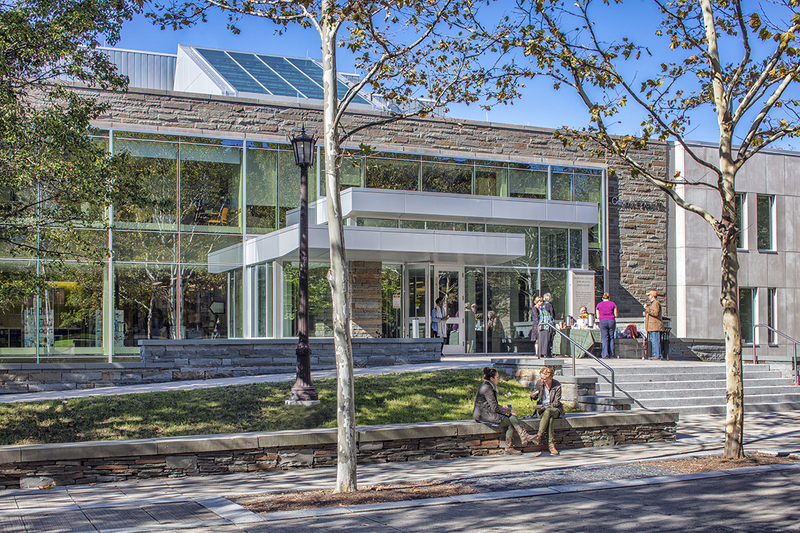 The new UHS is a timeless architectural and landscape asset at the heart of Cornell’s iconic campus.